Haunted House | Nejlepší úniková hra. Únikovka s dokonalou atmosférou. you never know what happens next! THIS GAME IS NOT APPROPRIATE FOR CHILDREN. That house has been abandoned for almost half a century. Everyone stays away from it, many don‘t dare to even look into its windows. The stigma it carries is too strong. The story of its last inhabitants was notoriously known to everyone in town. A young family came to a very sad end. A year after the mother’s tragical death, a father was found dead, while cause of death remains unknown. What’s worse, a 6 years old daughter was never found. No wonder no one has moved in there after that. Nobody has even entered the house ever since these events. Even vandals or squatters are avoiding this place. When current owner of the property, who desperately needs to sell it, calls you and asks you for help, you know it’s the right job for you. You are the best paranormal activity investigators far and near. Your goal is tricky – find out what really happened in the house, „clean“ it and most importantly survive it. Soon after you start the investigation and questioning of people around, you already know that this is going to be a hard one. 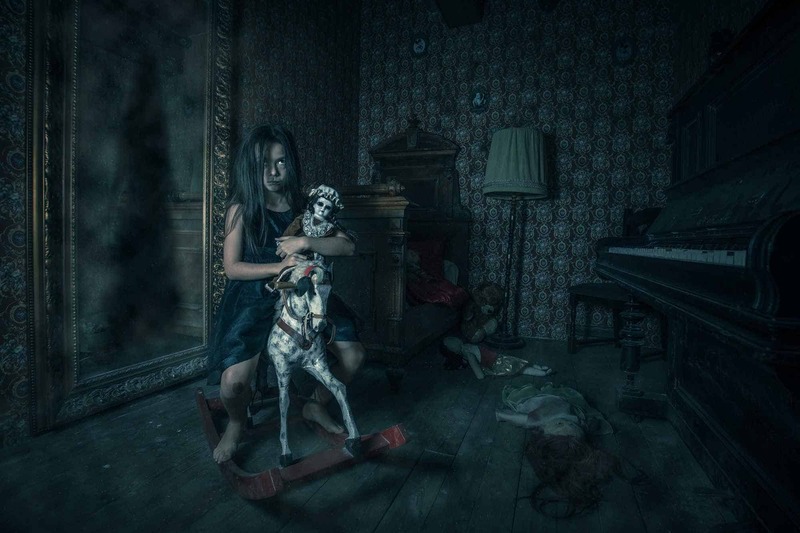 This is not a grandma’s spirit in the attic, this is something much, much worse…. We have visited many „scary“ escape rooms all around the world, but in most of them, fear was caused only by darkness, sounds and filth. 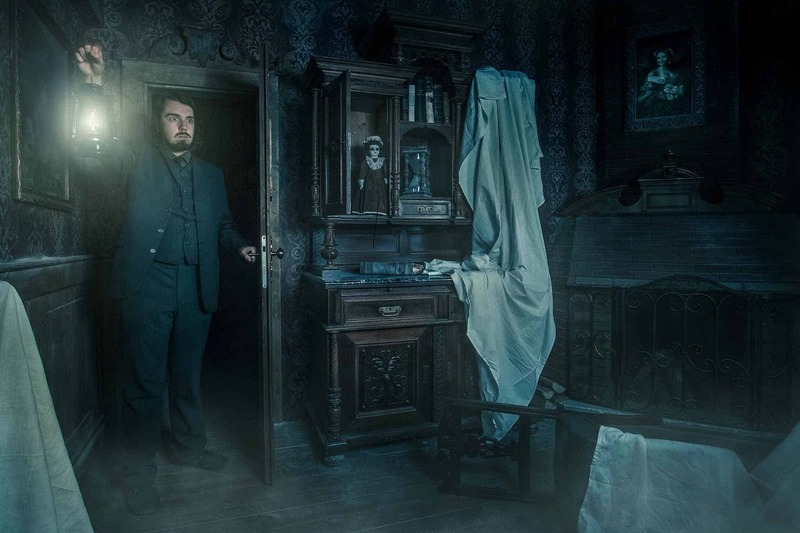 We were missing something – proper paranormal activities! That is why we worked hard and invested in advanced „ghost“ technologies. Now we are bringing an ultimate horror experience to you, which can’t be found anywhere else. 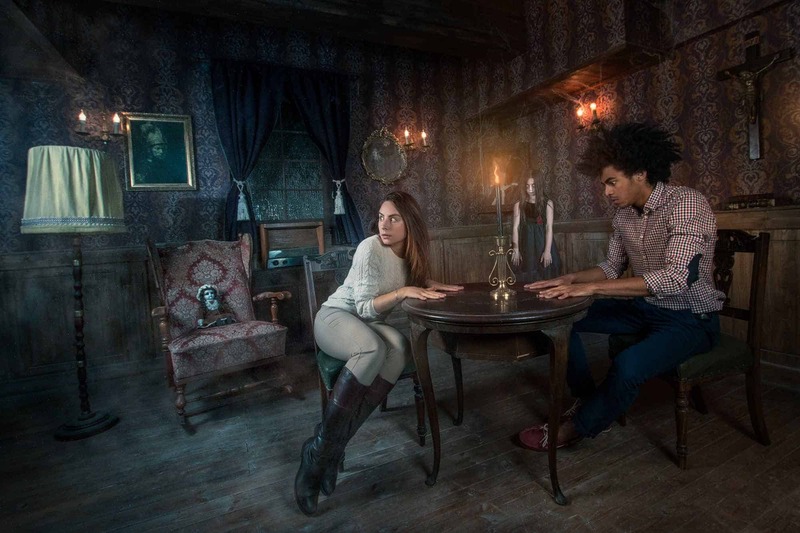 Haunted house is an extraordinary escape room that will keep suprising you! During construction, we actually experienced paranormal activities on site. As we didn’t expect anyone to believe that, we never intended to share this information publicly. However, after dealing with players who eventually found out and blamed us of not disclaiming this before the game, we decided to inform you. For further information, please contact us.